A Nightmare on Elm Street is one of the most enduring franchises in the history of horror and much of that, if not most of it, has to do with Freddy Krueger. 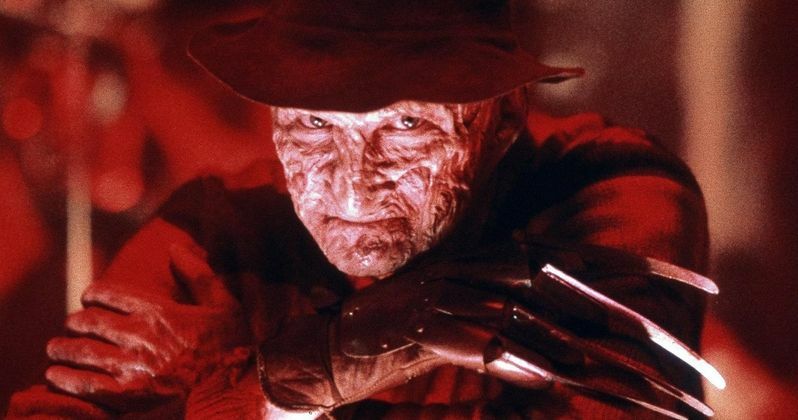 The mysterious, dream invading slasher has been most famously played by Robert Englund over the years and the actor seems to think exploring Freddy's origin story via a prequel is a good idea. It would certainly be something new within the franchise, relatively speaking. A Nightmare on Elm Street Robert Englund has made this known many times before. He went onto speak about the idea in more detail during the recent Monster Mania convention in Hunt Valley, Maryland. At one point in the conversation, Englund discussed his desire to see a prequel on screen and even explained that there was a prequel script floating around at one point that got somewhat close to being made. Here's what he had to say about it. "I've always thought that [not having a prequel] is a misruling in the mythology of A Nightmare on Elm Street. It got close to being rectified with Tobe Hooper's pilot for the TV series, and there was a script that was supposedly to be directed by John McNaughton, who did Henry: Portrait of a Serial Killer. There was a prequel script... I think it was called Krueger: The First Kills. And it was... the last children being killed... the two detectives that found Freddy and busted him... then the body of the film were the ambulance-chasing, sleazy lawyers that get Freddy off." The origin of Freddy Krueger is relatively well known, but it's never been fully explored in a movie. As Robert Englund eludes to, the first episode of the Freddy's Nightmares TV series, directed by the late, great Tobe Hooper, showcases the events of the trial and Freddy's death at the hands of the angry parents once he gets off scot free. Englund elaborated a bit on the script, explaining what we would have seen. "The lawyers are actually the best parts [of that script]. There's two of them. Freddy in court... Freddy at the table... Freddy on the witness stand... Freddy in jail. But it's about the lawyers getting him off. They get him off and Freddy gloats too much on the courtroom stairs. The end of the movie is Freddy being burned alive. I've had a fascination with these projects since I did the pilot with Tobe Hooper." For the time being, the franchise is just sitting on the shelf. The 2010 remake wasn't received very well and didn't do enough business at the box office to move forward with sequels. Jackie Earle Haley starred as Freddy in that version. There are plans for another reboot gestating and while Robert Englund says he's too old to play Freddy again, would he show up in a cameo? Here's what he had to say. "I would love to cameo in anything with integrity, connected with the franchise." The good news for fans is that Robert Englund is playing Freddy Krueger once again in an upcoming Halloween episode of The Goldbergs. That will have to do until we can actually get a new Elm Street movie going. You can check out the full Q&A with Englund from the Cliff Images YouTube channel for yourself below.